FC Barcelona’s 3-0 defeat of Athletic Club on Saturday (Match Report, Highlights) has moved them to within one point of the top of the Liga table, although the situation is somewhat misleading. The Catalans have now played two fewer games than leaders Real Madrid after the latter’s game at Celta was suspended on Sunday due to security concerns after the roof of one of the Balaidos stands was damaged by the heavy winds that have been hitting Galicia for the last few days. There has yet to be any announcement of when the game will be rescheduled into Madrid’s already heavy fixture list. The team also has a game with Valencia pending that was suspended due to their participation in the Club World Cup in December. Barça have moved two points clear of the other major contender in the title race, Sevilla, who could not break down Villarreal, a missed penalty included, in a game that ended 0-0. Barça’s Copa del Rey opponents Atlético Madrid on Tuesday (Tickets here) hold onto fourth place following a 2-0 defeat of Leganés. 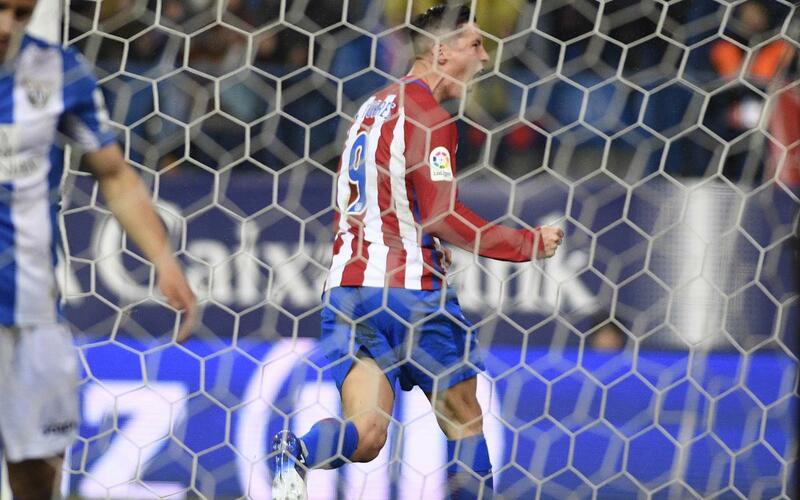 Fernando Torres was the man of the moment, scoring the first off a penalty rebound after 15 minutes and adding a second early in the second half. Next up for Barça in the league is a trip to Alavés on Saturday (4.15pm CET). The Basque side, who face Celta in the other cup semi-final, picked up three valuable points this weekend away to struggling Sporting Gijón. They led 1-0 after ten minutes thanks to Sobrino and added two penalties shortly after half time. Although the home side did pull back a couple of late goals, Alavés held on to claim the spoils 4-2. North of the border, Barça’s Champions League rivals Paris Saint Germain won 3-1 at Dijon with goals from Lucas Moira, Thiago Silva and Edinson Cavani. The win means PSG are now tied in second place with Nice, who lost 3-0 to leaders Monaco in the French league’s biggest game of the weekend.